The New Forest Strategic Housing Market Assessment (SHMA 2014) provides the evidence base for Housing needs within the New Forest District (Local Plan) Area. SHMA assessed the need for 587 – 687 new homes per annum in the New Forest District Area for the period 2011—2031. This number is 3.5 times higher than the current adopted Local Plan of 196 homes per annum for the period 2006-2026. The total number of homes is approximately 12,740. 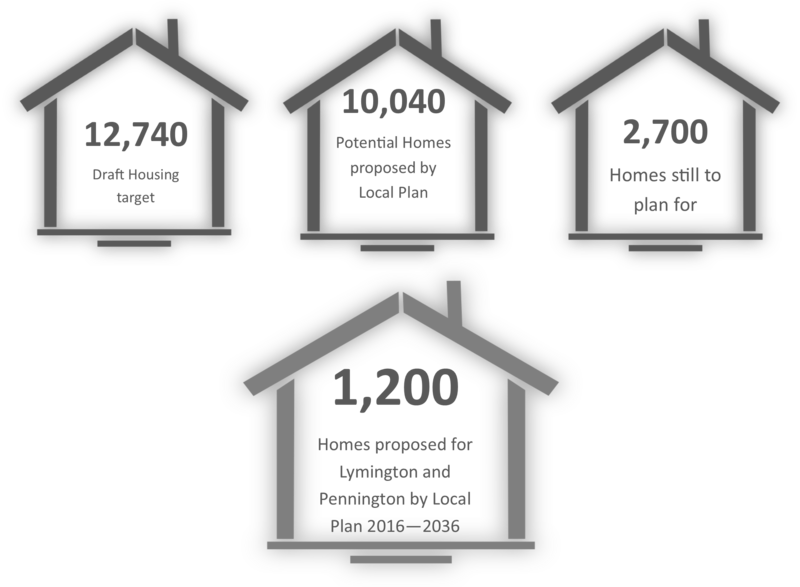 The Local Plan has identified proposed strategic sites in the Local Plan review 2016—2036 to accommodate approximately 10,040 homes. This leaves approximately 2700 homes still to plan for within the NFDC Local Plan Area.